Now, in WoW, Innovation has managed to kill Heroic Morchok-25, yes, 25 man, finally we can do that again, much more fun then 10's. 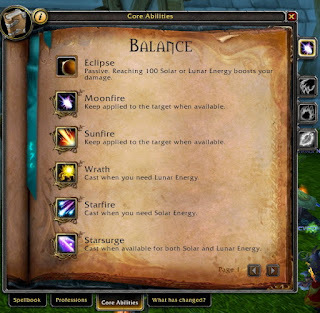 But I actually (hence the title) wanted to share my thoughts on balance in MoP..... boring. Moonfire-Starfire till Solar-Sunfire-Wrath till Lunar, with Starsurges and Starfall cast on CD. So.... we get a lot less to think about, which for some players may be a god-send, but I actually like to plan ahead, and that will be lost. We do get some more cooldowns outside the base-rotation to manage. That is great, but doesn't actually change our core-rotation. On most fights it will probably mean hit it when ready, or wait till a certain phase, just like we tend to use shrooms and treants (and possible trinkets) now. 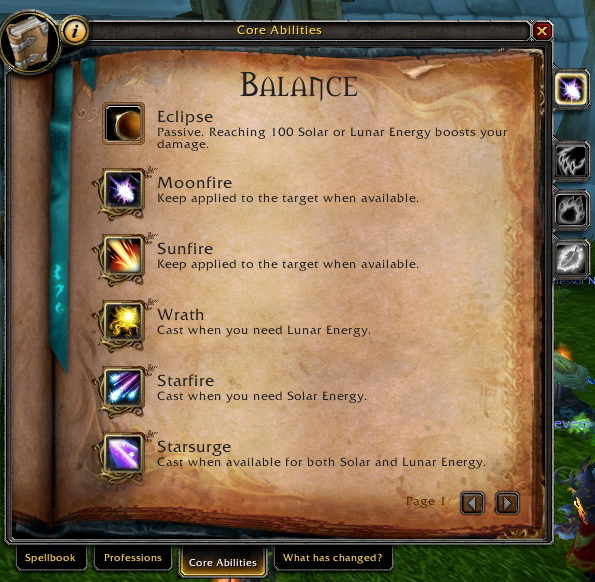 It seems Balance will get a lot easier to play, and I don't think I like that.